We had snow all day today. I hope that's the last of it. Happy Spring to you all as well. 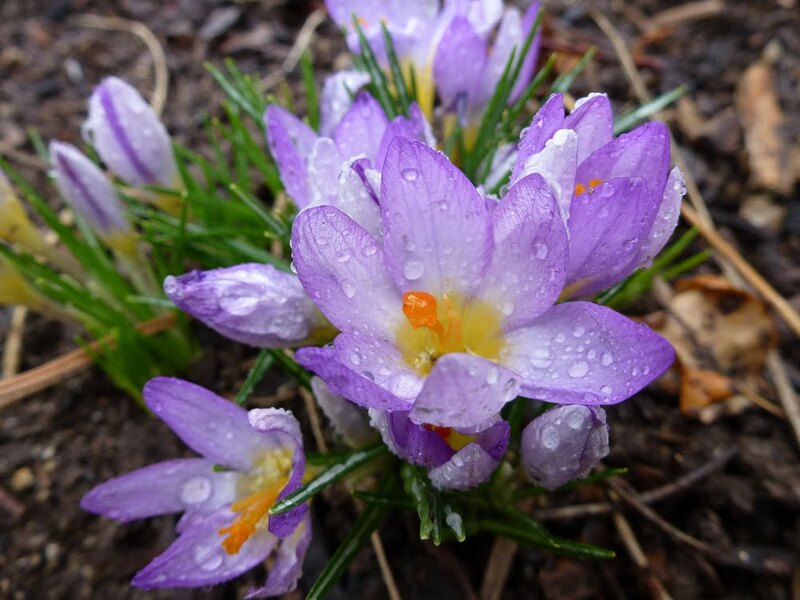 Your Crocus looks fresh and bright! Hey nice crocuses! It is about time they started, ours have been finished for over a week. Enjoy those hellebores. C'est aussi ce que l'on dit ici, doucement, mais sûrement ! You are getting some blooms. The hellebore is going to be so pretty. Have a terrific week. Hi! Love your photo of the crocuses. So bright and pretty! 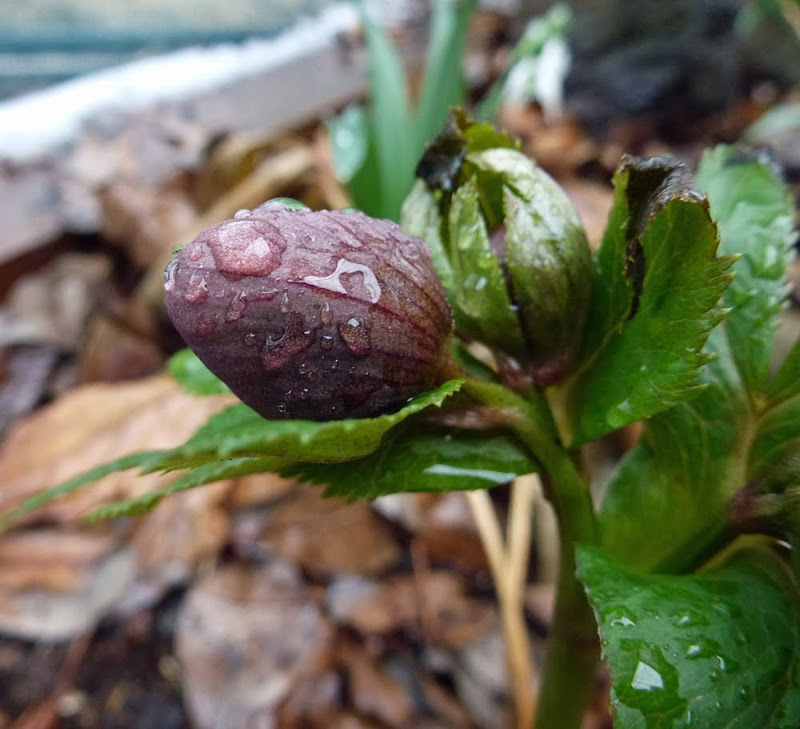 What is your hellebore? I posted a photo similar to that one for GBBD. Mine is 'Blue Lady'. Happy Spring! You wrote this last Tuesday, I see. Last Wednesday, to the west of you, we had snow all day too. We ended up with about a foot of wet, heavy stuff. That's all though. Now it's going to be spring, right? If crocuses could talk, yours would definitely say yes!! So pretty.